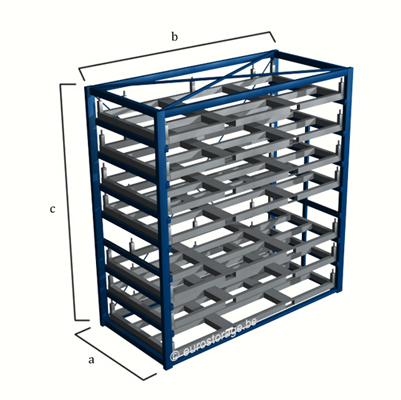 "Storage of sheet metals for transport with forklift"
"Super compact storage of metal sheets by combining the horizontal metal sheet rack with the metal sheet forklift rack"
The metal sheet warehouse rack combines a horizontal metal sheet rack (lower part) and a metal sheet forklift rack (upper part) into one efficient and compact storage system. 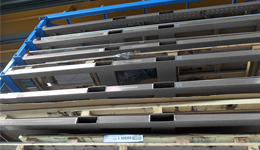 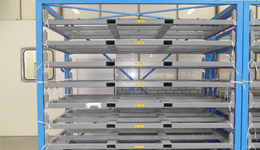 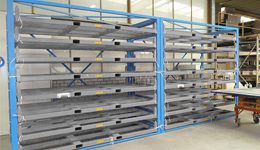 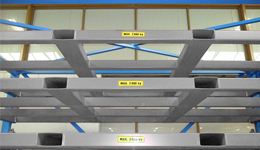 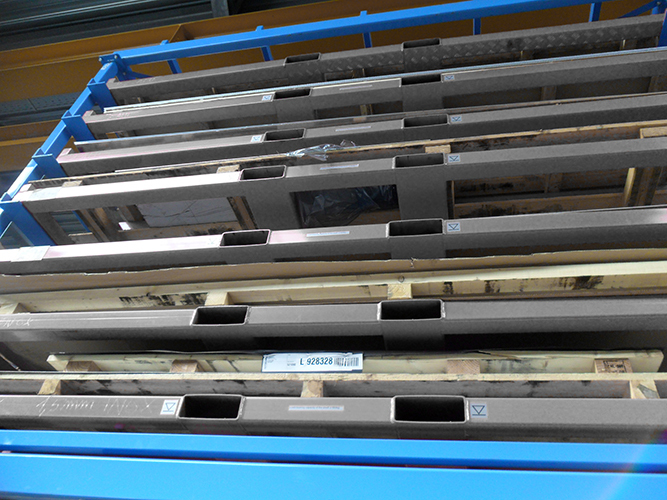 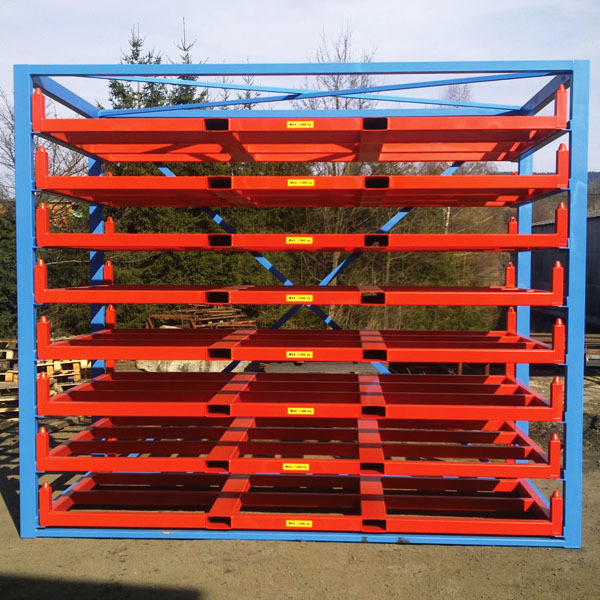 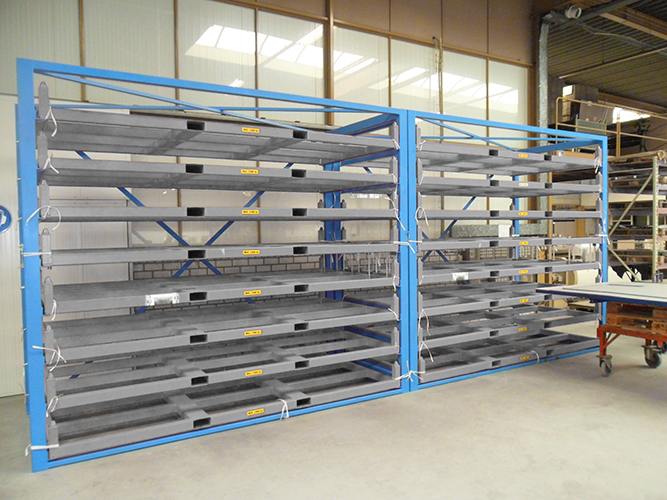 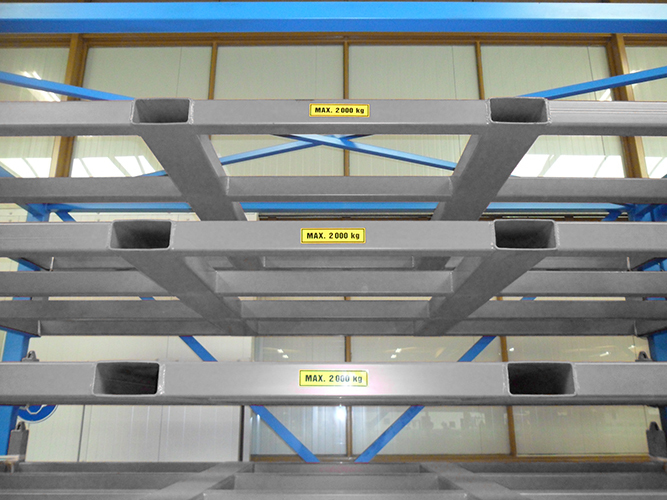 The lower part of this system consists of fully extendable drawers, whereas the upper part contains cassettes which can be taken out with a forklift. 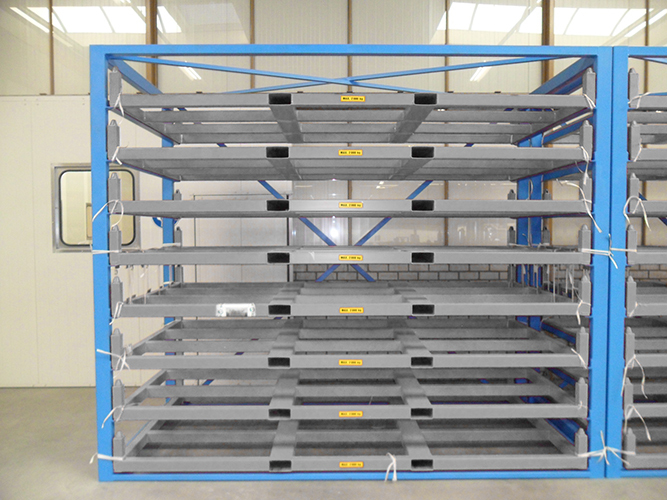 This combination guarantees an efficient and high capacity storage system.